This hard to find adapter will ONLY fit into the DVI-I Ports. 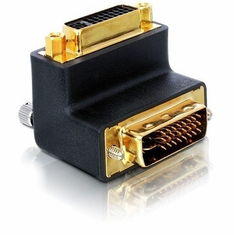 If you have a DVI Digital port (24+1), this adapter will not fit into it. If you are unsure, then please email or call us and we can assist you with it.